Jimmy's Mom is a mile-long downhill that features fast singletrack and fun, expert jumps. Jimmy's Mom Trail is a short, somewhat steep, single track downhill that gives mountain bikers a brief, yet highly enjoyable ride. There are a number of connector trails you can add on to make it a longer trip, or you can simply ride it over and over again to your heart's desire. 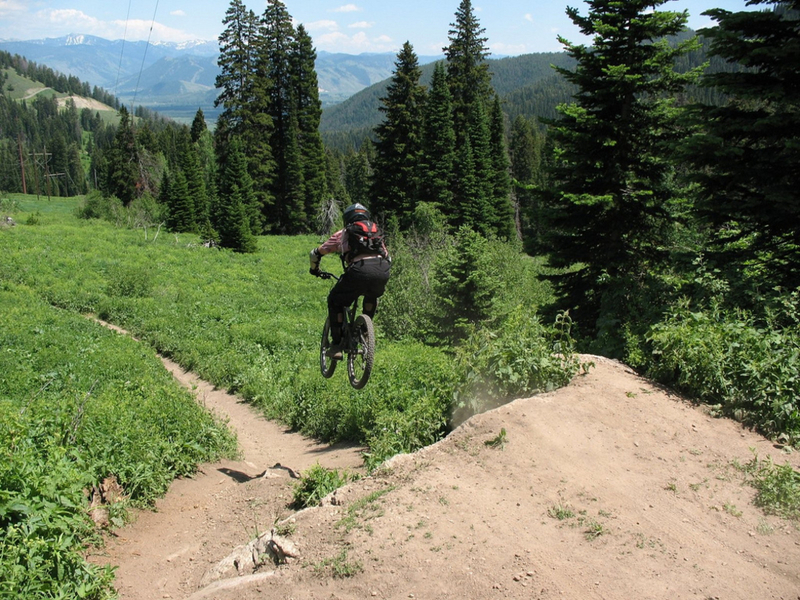 At about 1-mile long, with plenty of advanced jumps, Jimmy's Mom Trail is a local favorite for a quick adrenaline rush. 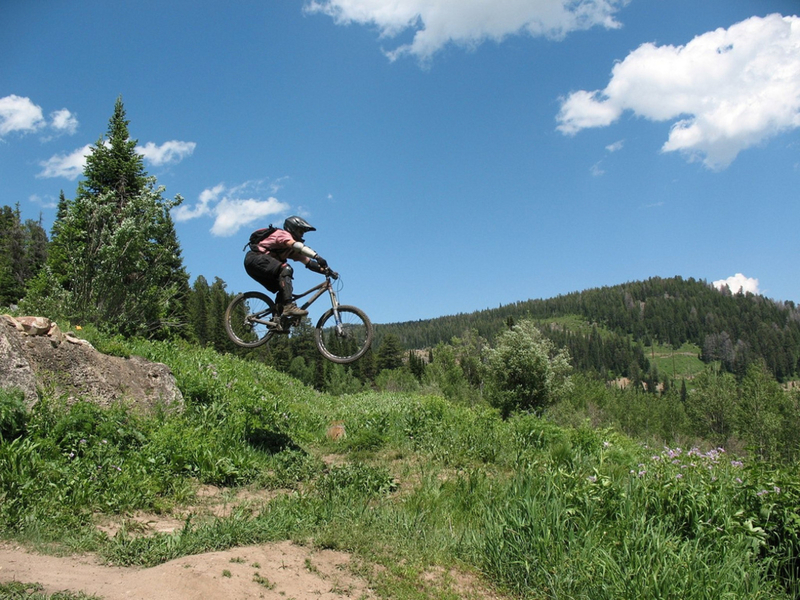 Adrenaline-junkies and expert downhill riders will love Jimmy's Mom Trail. The jumps here really are legendary. To access, follow Highway 22 up Teton Pass. Park in the lot directly across Phillips access road. The trail begins at the kiosk on the southern side of the parking lot. Descend the mile-long downhill until you reach Old Pass Road near Crater Lake. From here, either climb back up—riding up Old Pass Road as Jimmy's Mom is a downhill-only trail—and do it again, or descend to the Parallel Trail. If you're looking for an exhilarating trail relatively close to town, Jimmy's Mom is certainly a good choice.